Food in Hong Kong is serious business, more than sustenance, food is an experience in Hong Kong. There is everything from award-winning restaurants to neighborhood joints, international cuisine to local dim sum with flavors and budgets for all. Hong Kong's pride and joy is of course Cantonese food. 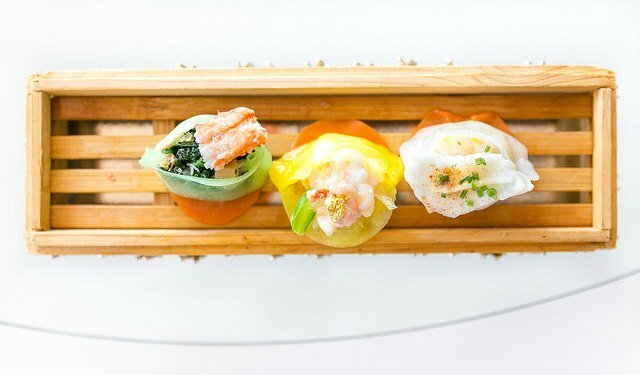 A Dim Sum brunch is a must while in Hong Kong. Hong Kong is after all considered the "home of Dim Sum". Dim Sum restaurants are lively and crowded with diners, often in large groups, the hectic servers scurrying around with trolleys and trays overflowing with piping hot bamboo baskets filled with the delicious bites... all prepared fresh with the freshest ingredients. Dim Sum are the Chinese "Tapas". All dishes are small, with most of them containing 3 to 4 small bites. It does help to assemble a small group of people, that way you can order many different kinds, but a dim sum brunch is more than the delicious food, it's about the experience in itself. Hong Kong's traditional roasts are also a must, very popular with Chinese and available everywhere, at top restaurants and street stalls alike. You will see the entire ducks and roasted meats hanging by the windows or stands to lure you in. Char Siu is the typical reddish Hong Kong-style bar-b-que pork. The sauce that gives it that unique sweet spicy flavor is made with hoisin sauce, rice wine and honey. It's delicious! Char Siu is also used as filling for many of the most popular dim sum dumplings and rolls. 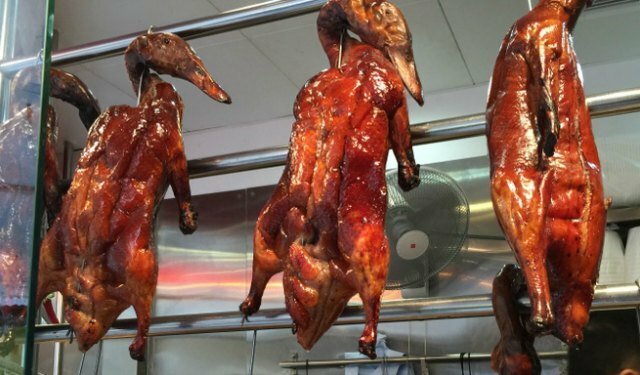 Roasted duck or goose is another favourite with its crispy skin and tender, juicy and flavorful meat. Normally served with plum sauce, be sure to give it a try. This is not to be confused with the more elaborate Peking Duck, which is a meal experience of its own. There is also another kind of chicken that is steamed, although it looks kind of "pale" the meat is very flavorful, tender and moist. It is often served with ginger or a spicier sauce and makes a wonderful light meal paired with stir-fried or steamed fresh veggies. How are the meats served? You can have your choice of meat with white rice, vegetables or noodles, making for a very versatil meal. It is definitely one of our top choices when scurrying for fast-food. Dai Pai Dongs are the bustling street food stalls that are found throughout all of Hong Kong's neighborhoods. 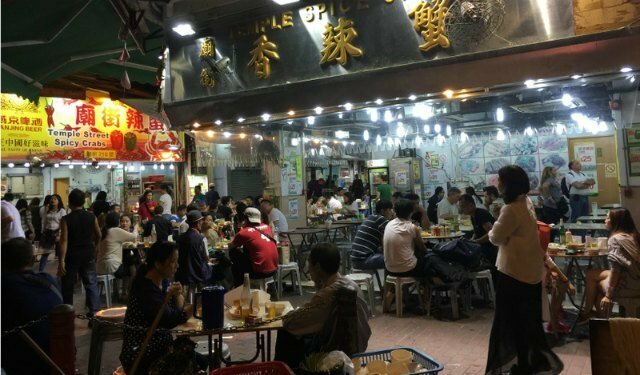 The sizzling dishes, the clatter, the aromas, the crowds... Dai Pai Dongs are one of Hong Kong's best food experiences to people watch, share a table with a stranger and be totally inundated with fresh great flavours. How do you choose where or what to eat? Follow your instincts! Whatever looks crowded is sure to be a good bet. There won't be much English spoken so just point at what looks good, or whatever your neighbor is having. Sometimes they will have menus or pictures you can point at. 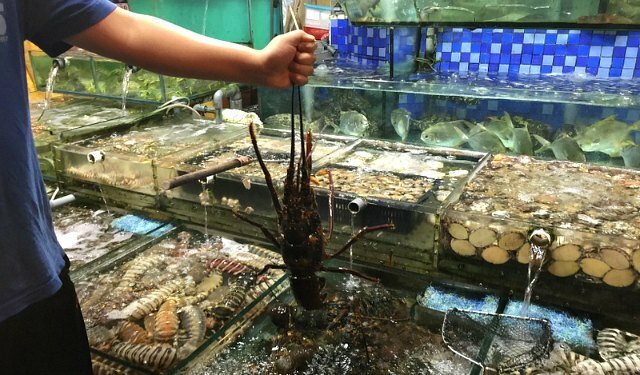 The seafood restaurants in Hong Kong are a must if you are a seafood lover. You find them everywhere in Hong Kong but the ones around the coastal areas and the islands offer quite a fun and unique experience specially when combined with a boat ride or a harbour cruise. There's fish, prawns, crabs, lobster... and you can have it braised, steamed, stir-fried or however the way you want it, just ask! 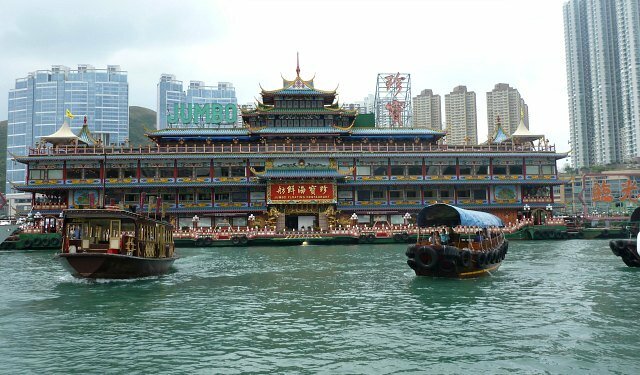 The Jumbo Floating Restaurant together with the Tai Pak, are Hong Kong's iconic Floating Palaces which have been around since the 1950's. Although somewhat of a tourist attraction, with prices to match, with the right expectations the Floating Restaurants can be indeed a very unique experience. Located in the heart of bustling Aberdeen Harbour, getting there aboard the old ferry junk is half the fun, and the views of picturesque Aberdeen a bonus. 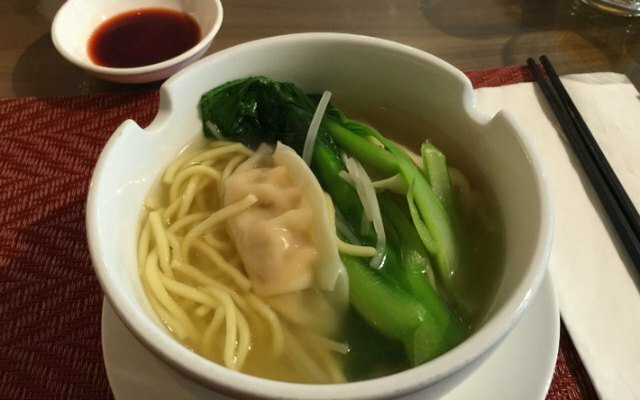 There are several restaurants, ranging from the elaborate Garden Court specialising in seafood and Cantonese Cuisine to the more casual Top Deck where dining al fresco is a delight. 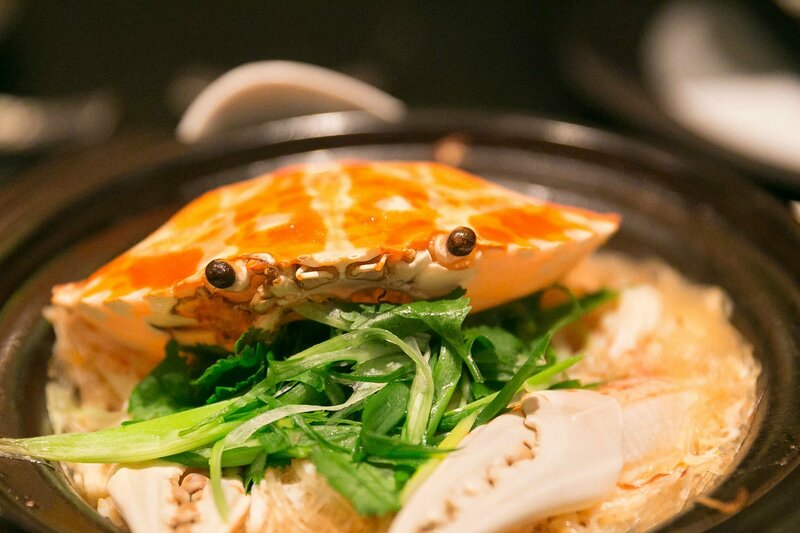 Food being Hong Kong's national sport, it is no surprise to find quite a number of the territory's restaurants in the renown Michelin Guide, which rates the best restaurants in the planet. As expected, the list includes a wide range of cuisines, from international to local Cantonese. What is quite unique and a real breath of fresh air is that the star list is not all about pricey fancy eateries but also includes some reasonable and economical places. 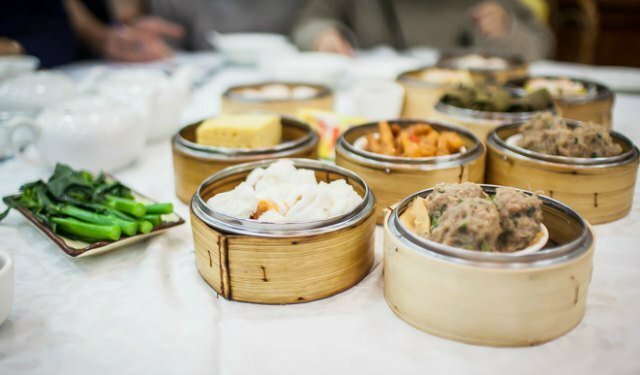 Hong Kong is home to the cheapest Michelin-starred restaurant, Tim Ho Wan, a dim sum place where dishes start at a mere HK10, about US$1.30, a bargain for any standard, Michelin-rated or not. 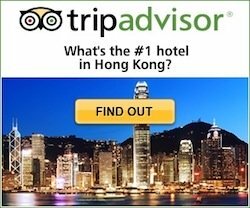 There are over 60 starred restaurants in the Michelin Guide and in addition, the guide includes dozens of eateries considered good value with an average meal costing HK 300 or less. Starting in 2016, the Hong Kong and Macau Guide even contains a Street Food Category, a first for this international guide. Here is a complete list of Hong Kong starred restaurants in the latest Michelin Guide and the favourite food stalls and Dai Pai Dongs that made the list. If you are serious about your dining, then get a copy of the MICHELIN Guide Hong Kong and Macau 2017 at Amazon.com. The restaurants are grouped by area, cuisine, restaurants with a view, etc. which like the 2016 guide, contains a list of several outstanding street food places in Hong Kong. 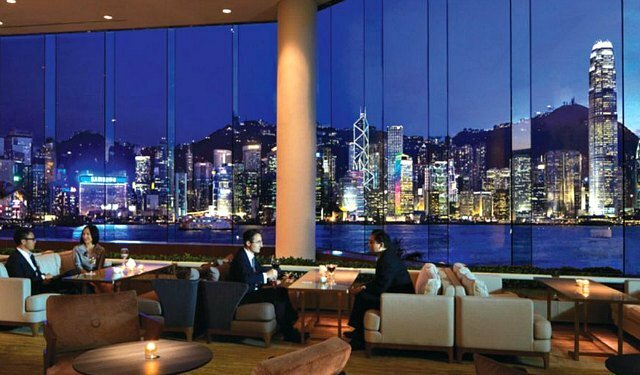 There is no shortage of restaurants and bars with that million-dollar view of Victoria Harbour. Whether you are contemplating a romantic dinner or a special celebration, or watching one of the spectacular fireworks displays Hong Kong is so famous for in grand style, you will find many choices in both sides of the harbour, in Hong Kong Island as well as Kowloon. The views will be splendid from either side. Combine some Sightseeing with a Fantastic Dim Sum Experience! Check out current offers, discounts, and free vouchers for some of the most popular establishments, dim sum, seafood, noodles, hot pot, even michelin starred options here!